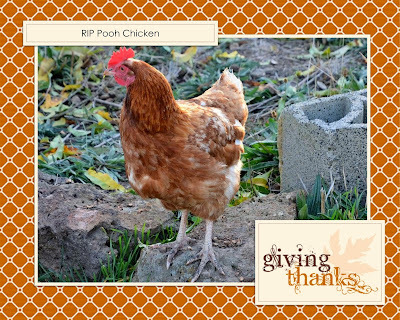 Our weekend win against Tea's escapism was tempered by the loss of Pooh Chicken. Nick and I answered Erin's calls of distress on Sunday and found one of our chookies had died - fortunately it was a fox-free natural death, though still a sad event. Vaughan observed that Princess Fiona would miss Pooh Chicken - because they spent a lot of time with each other.